If you didn’t register before Feb. 22, you can still do so for a $10 fee. You can also purchase your $10 ticket at the door, but registering online beforehand will get you into the show faster once you arrive. The exhibition hall stretches 1.1 million square feet, so you’ll want to take a look at the floor plan to get acquainted with the space before you arrive. Mapping out which booths you’d like to visit and getting a general overview of the expo center in advance will save you time and trouble once you get inside. The Mid-America Trucking Show seminars provide companies, fleets and trucking professionals with the information they need to run their business more efficiently. From the ELD mandate to the damaging effects of air and vapor in your diesel fuel, there is a topic for everyone. All seminars will take place in B-104 in the South Wing Lobby. 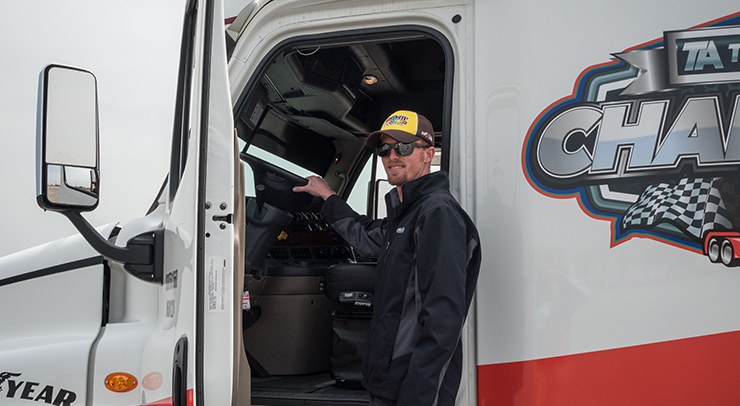 Don’t miss Homer Hogg, Director of Technical Service, and Daniel Mustafa, Assistant Manager of Technical Development, for their seminar “Starting and Charging Systems on the Modern Truck” on Friday, March 23, from 3-4 p.m. Check out a full list of seminars and when they’ll take place. Don’t forget to pick up your free concert tickets from the Mobil Delvac Booth #18160 in the North Wing during regular show hours. Tickets are available while supplies last, so make sure you get yours early. This year, country music star and “American Idol” alum Kellie Pickler will be performing with opening act JD Shelburne at Freedom Hall on Friday, March 23. Doors open at 6:30 p.m., and the concert starts at 7:00 p.m.
We are proud to offer free tractor/trailer parking again at MATS in the Papa John’s Cardinal Stadium lot. Trucks must enter through Gate D, which is located at 4146 Park Boulevard, Louisville, KY 40209. In the community lot you’ll also find food and live music by Tony Justice, Jayne Denham, Joey Holiday and Bill Weaver. We are also providing free shuttles, which will run continuously during show hours to transport attendees to and from the expo center. Thursday, March 22 from 9 a.m. – 7 p.m.
Friday, March 23 from 9 a.m. – 11 p.m.
Saturday, March 24 from 8 a.m. – 5 p.m.
It’s back by popular demand! Our shower trailer will be located in the Papa John’s Cardinal Stadium lot in the free truck parking. Stop by our tent in the parking lot or our booth #19156 inside the show to sign up for your shower. We’re providing one free towel and soap with every shower, while supplies last. 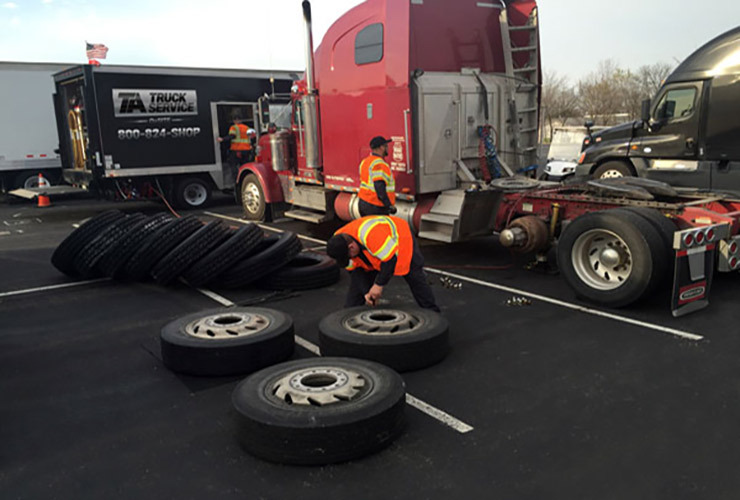 TA Truck Service is back this year to help you maximize your downtime at MATS. Our ASE certified technicians will be performing maintenance and repairs in the Papa John’s Cardinal Stadium community lot. Visit our tent in the truck parking lot to schedule your repairs and services. Enter to win: Roadmaster tires or a go kart! 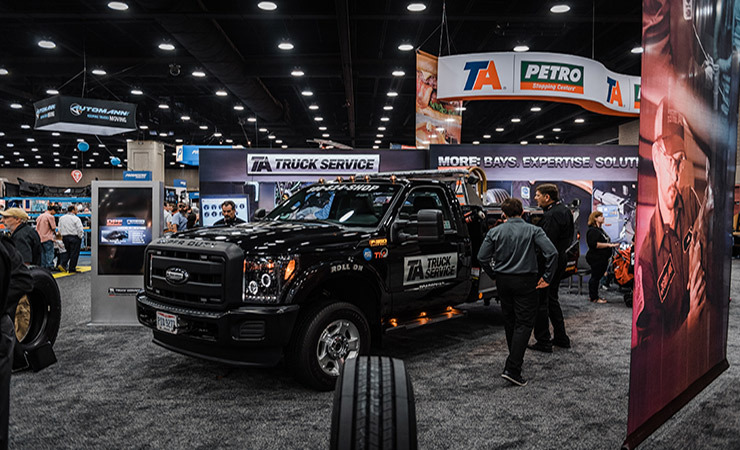 The Mid-America Trucking Show is always full of fun giveaways, and this year TA Truck Service is bringing you three. Two lucky winners will each receive a set of eight new Roadmaster tires and one lucky winner will receive a full-size go kart! All you have to do to enter is request a price quote from a TA Truck Service representative in the free truck parking lot at Papa John’s Cardinal Stadium. The 2018 MATS app is now available for download in the App Store and on Google Play. The app provides a mobile version of the MATS website, including the full exhibitor list, maps, a list of events, a full directory and more. The app also lets you customize your own MATS calendar/schedule to keep track of which events and seminars you will attend. For Apple’s iOS systems, click here. For Android devices, click here. As the home of The Kentucky Derby and recently named one of the “10 Best New Food Cities”, Louisville’s unique and authentic heritage has a lot to offer to guests outside of the trucking expo. Given the amount of attendees in Louisville during MATS, it’s a good idea to plan your after-show activities in advance. Find some of the best attractions, restaurants, events, maps and more right here.